It is currently Wed Apr 24, 2019 2:43 pm. Buc's Brawls 1v1 WINNER GORK! 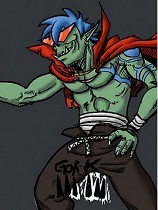 Post subject: Re: Buc's Brawls 1v1 WINNER GORK! Was a fun night of fights . Thanks to skrap for hosting and vintirex for streaming. All the fights are here.